mutt. 1. A stupid person. 1. The American Heritage® Dictionary of the English Language, Fourth. Bartleby.com, 2000. Accessed Aug 26 2001 from http:// www.bartleby.com/61/. 2. A person of mixed race. When speaking of dogs, mutt typically refers to a mongrel, or a dog of mixed breed. Since intelligence is not among the factors that determine the quality of purebred dogs, there is no particular reason to associate hybridity with stupidity, other than elitism. Of course the prejudice against mongrelism remains significant. With respect to the dog, this is a major issue. We have…we have two criteria that have to be reconciled. One is that Malia is allergic, so it has to be hypo-allergenic. There are a number of breeds that are hypo-allergenic. On the other hand, our preference would be to get a shelter dog. But obviously, a lot of shelter dogs are mutts, like me. Conservative columnist William Kristol described this as displaying “a dry and slightly politically incorrect wit” and noted that, “It could be a tough four or eight years for conservatives” Indeed, as with the initial reference to the dog purchase in Obama's election night speech, this follow-up answer generated what might seem a disproportionate amount of comment, and not only because it placed the as-yet-acquired pet in the annals of presidential pooches along side the likes of Fala and Checkers. What makes this anecdote especially interesting to me is that the difference between a mutt and a pedigree is not how it performs—rather it is how it conforms and whether its papers are in order or not. 2. Urban Dictionary.Com Tucows, Inc., Feb 22 2005, accessed Feb 2 2006 from http://www.urbandictionary.com/. 3. Obama, Barack. 2008. President-Elect Obama’s First News Conference New York Times, Nov 7. Accessed Dec 4, 2008 from http:// www.nytimes.com/ 2008/ 11/07/ us/ politics/ 07obama-text.html. 4. Kristol, WIlliam. 2008. G.O.P. Dog Days? . New York Times, Nov 10. Accessed Dec 4, 2008 from http:// www.nytimes.com/ 2008/ 11/ 10/ opinion/ 10kristol.html. 5. Steve Inskeep, and Michele Norris and M. Smith, M. Orr, M. Burgos, S. Yacoviello and L. Moreland. 2008. In York, Pa., New Outlook after Obama's Win. In Morning Edition. New York: National Public Radio. Nov 14. 3. Mutt may also be used synonymously with dog for an unattractive woman. 4. In procedural police fiction, in film and on television, “mutt” is sometimes used as a synonym for “perp” or “skel.” As portrayed in these genres, the world is divided into three categories: cops, civilians, and mutts. Mutt 'n' Jeff. 1. Deaf. 2. The good cop/bad cop strategy of interrogation. 3. Any pair of people of contrasting size or nature. Gary Martin says that “The Mutt 'n' Jeff variant is is a nice example of Cockney rhyming slang” and that both definitions are taken from the Mutt and Jeff characters of the Bud Fisher comic strip of the same name. 6. Martin, Gary J., ed. 2008. Mutt and Jeff. The Phrase Finder. The Phrase Finder. Accessed Apr 15 2008 from http:// www.phrases.org.uk/ meanings/ 252125.html. About the illustrations: Figure 1 is a promotional image from the Australian Special Broadcast Service's series “Wilfred.” The title character is played by a man in a dog suit. Figure 2 is one of Barack Obama's official Senate photographs. This United States Congress image is in the public domain because it is an official Congressional portrait, because it was taken by an official employee of the Congress, and because it has been released into the public domain and posted on the official web sites of a member of Congress. Figure 3 is Calvin Weary. I believe that the use of this low resolution image in the article “mutt” to illustrate the subject in question where no free equivalent is available or could be created that would adequately give the same information qualifies as fair use under United States copyright law. 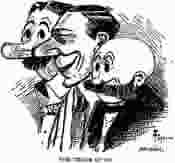 Figure 4 is excerpted from a 1912 illustration by Bud Fisher, captioned “The Three of Us” which showed both the characters and Fisher himself in the middle. Fisher is removed from this version. The original image is in the public domain because the copyright has expired. 8. Yeap, Sue. 2007. A Dog Suit with Attitude. The West Australian. The West Australian. Accessed Apr 15 2008 from http:// www.thewest.com.au/ default.aspx? MenuID= 24& ContentID= 23872.